This beautiful 4 bedroom home is just a short 20 minutes drive away to Disney.The gated community of Venetian Bay has community pools and parks. With excellent connections to the I4 and the theme parks. 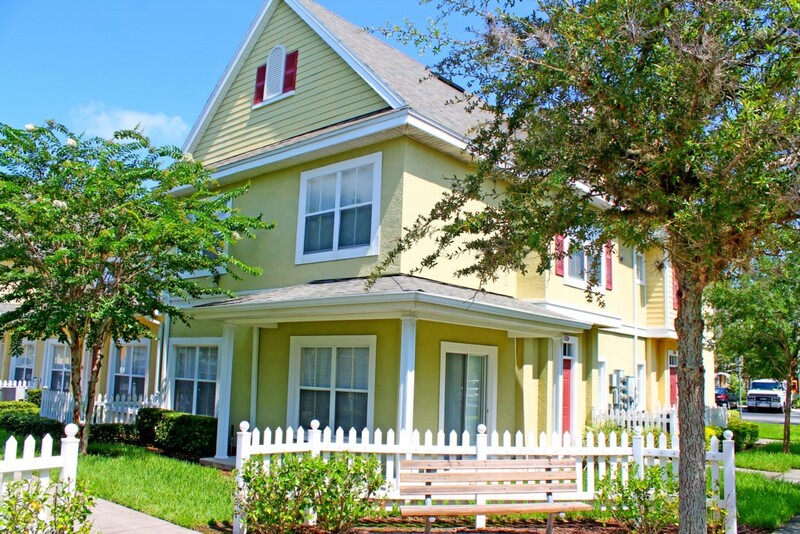 This beautiful 4 bedroom 3 bathroom town home is nestled in a quiet gated community within approximately 15 minutes of Walt Disney World and many other Cantral Floridas main attractions. This gated community has numerous ammeneties including a large spacious clubhouse with an oversized pool and jacuzzi, 2 standard pools, a gym facility, computer access with high speed internet, movie room, 3 playgrounds, 2 tennis courts, basketball courts and much more. Be one of the first to rent this stunning new professionally furnished and equipped to the highest standards home from home. This luxurious home has everything you need to experience the Florida lifestyle. With an open living concept and a large main living area, this spacious 3 bedroom, 2 bath townhome caters to families, couples and groups of friends traveling together. 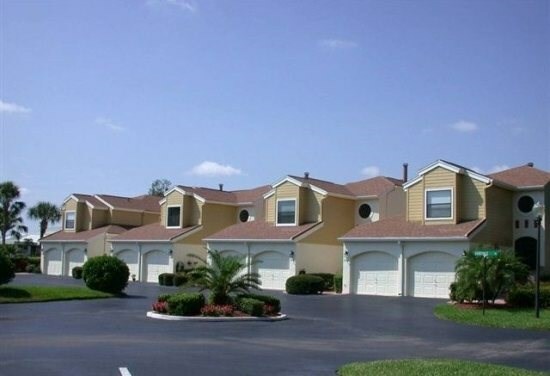 Located in the 24-hour manned and gated Ventura Country Club community, the townhome also offers a convenient location to all of Orlando’s finest attractions. Club Amenities: 24-Hour Manned and Gated Community Golf Course Restaurant and Bar Junior Olympic Swimming Pool and Spa Banquet and Event Facilities Property Amenities: 1-Car Garage Paved Parking Wood-Burning Fireplace Flat-Screen TV Washer and Dryer Wi-Fi Air-Conditioning Screened-In Lanai Cook up a storm for your hungry group in the fully-stocked kitchen with full-sized appliances. You can still be a part of the action, as the kitchen overlooks the open main living area. The dining area offers a large table that seats four, so you can gather for good meals and even better conversation. On cooler nights, cuddle in front of the fireplace and do a little binge-watching on the large flat-screen TV with cable channels. In the evenings, the screened-in lanai is the place to be with its comfortable seating and cool breezes. For your convenience and comfort, the townhome also has a one-car garage, air conditioning, washer and dryer and free Wi-Fi. Settle in for the night in the master suite with king bed and wood floors. The en-suite master bath features a shower and tub combination with skylights to let in lots of natural light. Your kids or guests have plenty of space of their own in the other bedrooms, one with queen bed and the other with two twins. Both rooms share a guest bath with shower and tub combination. Perfect your swing with a round or two of golf on the Club’s well-kept golf course, ideal for all experience levels. Cool off from the Florida heat in the Junior Olympic-sized swimming pool and spa or devour the latest best-seller on one of the sun loungers. You also have access to the Club’s tennis courts, fitness center and lake with beach area. Let the cook off for the night and enjoy dinner at the on-site restaurant and conversation and cocktails at the Club’s bar. If your trip to Orlando revolves around a special event, host your party in the Club’s elegant wedding and event facilities. Location, Location, Location! Hop in the car and in a few minutes you’re right at Mickey’s doorstep. All of the Disney parks, including the Magic Kingdom, Epcot Center, Hollywood Studios and Animal Kingdom, are close by and easy to get to. You’re also close to Universal Studios, Legoland and SeaWorld. If you're looking for the ocean it's approximately 1 hour by car to Cocoa Beach. All the fun in Orlando doesn’t just happen during the day; the downtown area has an active nightlife scene with bars, restaurants and clubs for the over-21 crowd.